Mobile world congress only officially gets started on Monday, but that hasn’t stopped Samsung from getting the announcements underway early. While all the focus is understandably on what Samsung’s next Galaxy S smartphone will be like, it’s the infinitely more wearable Gear smartwatch that has given us the first real news story of Mobile World Congress 2014. 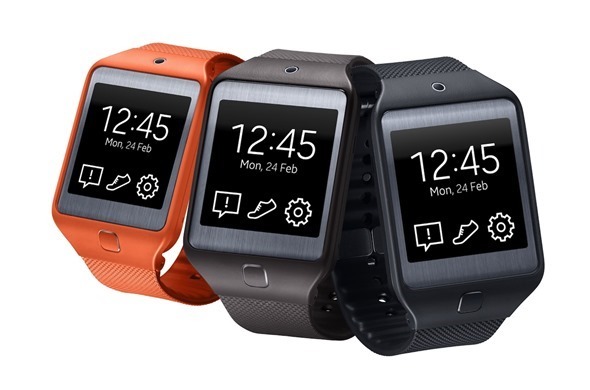 Samsung has in fact announced not one new smartwatch, but two, with the Gear 2 and Gear 2 Neo both now a reality. 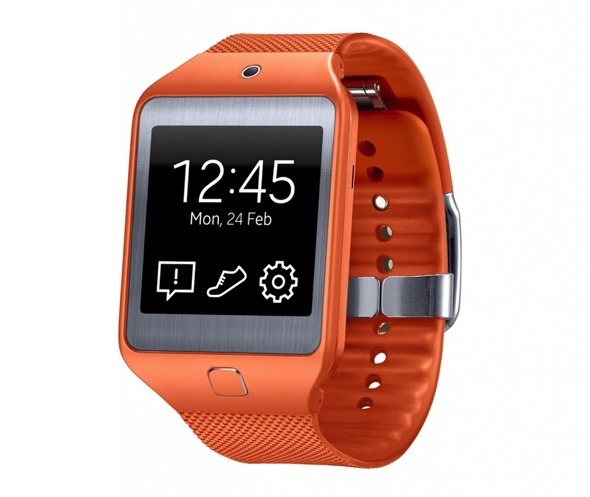 Ditching Android in favor of Tizen, the two new wearables feature a 1.63-inch 320×320 pixel display of the Super AMOLED variety and a 1GHz Dual Core CPU that should mean that both perform well enough. The two watches differ in one feature alone, and that’s the 2-megapixel camera that the Gear 2 features. The Neo 2’s lack of a shooter may or may not be a plus for some though, with the camera being something that many probably wouldn’t tale advantage of anyway. Speaking of the camera, it’s now build right into the watch itself rather than the strap, which means that the Gear 2 watches can how have their straps replaced at will. As for the colors that those straps will be available in, the Gear 2 will be offered with Charcoal Black, Gold Brown, and Wild Orange straps, and the Gear 2 Neo will have Charcoal Black, Mocha Grey, and Wild Orange straps available. We’re quite taken by the orange ourselves, though we suspect many will opt for the more understated colors on offer. 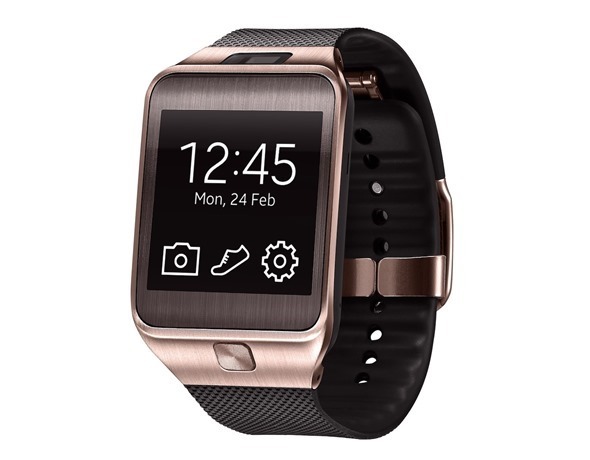 Both the Gear 2 and Gear 2 Neo are certified as being water resistant and dust resistant, which is obviously something you’re going to want from a watch that’s going to live on your wrist through thick and thin. Storage is taken care of by a 4GB chunk of memory and sensors include a Bluetooth 4.0 LE chip and the usual accelerometer and gyroscope combination that has become commonplace in everything these days. A heart rate sensor is a new addition to the new generation of Gear smartwatches – a nod to what Apple is reportedly working on, perhaps. If you’re going to be using the new watches every day, then the 3-day normal use and 6-day low usage battery expectations will be of interest, like it is on the new Pebble Steel, though Samsung isn’t saying what constitutes normal or low usage. Samsung isn’t saying when either new watch will be available other than a wooly April time period, and no pricing has been announced either. Redmond Pie’s Ben Reid is at MWC this year and will be covering the show in full starting Monday. We’ll have a hands-on posted here on site as soon as Samsung let’s try one. Stay tuned!